Warning: This post contains a shocking picture. 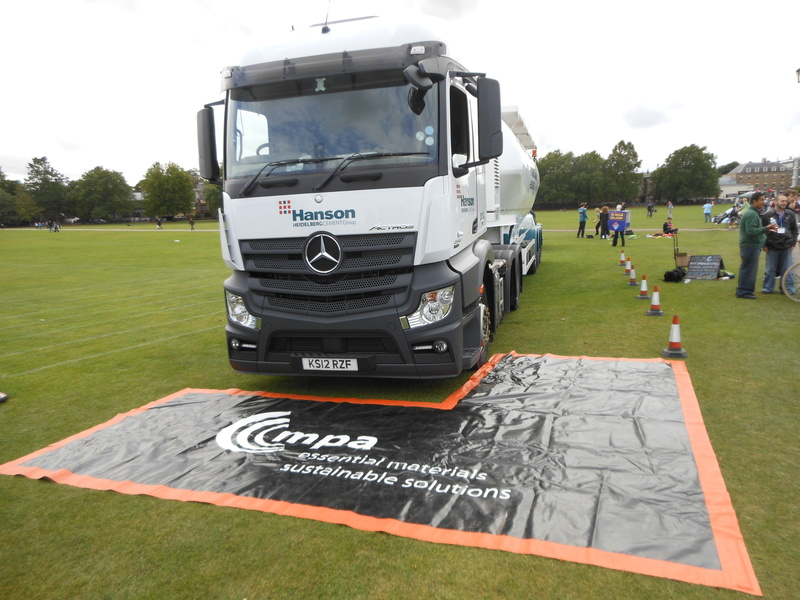 The simple fact is that if you mix lorries and people on cycles then there are likely to be serious injuries and deaths, which is why I am particularly concerned about Cambridgeshire County Council’s plans for access to the proposed Science Park station. Which is all very well if it gets built, however according to that document Cowley Road is between seven and 10 metres wide, so with two 3m road lanes and a footway there’s not much left unless the highway is to be widened. 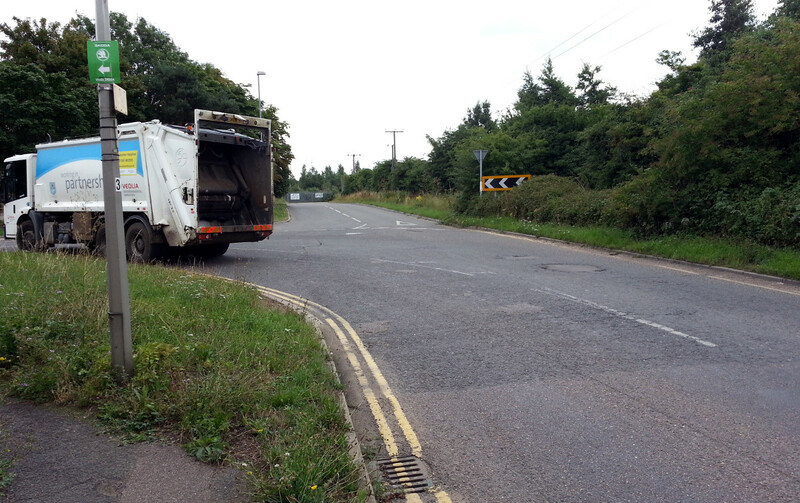 I also have a concern over what Atkins (the County’s highway engineers) think is high quality cycle infrastructure. If we replace “high quality” in the text above with “world class” then we have a better benchmark. A world class cycle track here would be 4m wide (for a bi-directional path) with a separation of 1.5m from the motor vehicle lanes. There doesn’t seem to be room for this. Let’s face it Cambridgeshire County Council hasn’t built any world-class cycle infrastructure. There is the busway path that is very popular with cyclists but that was built as a maintenance track, it floods and has many hazardous bollards. Atkins designed a dreadful shared use path for the station underpass in Ely. No details are available for this “high quality” track, nor how it will connect with the Milton Road crossing, nor for the layout where the station access road leaves Cowley Road (pictured above). If the cycle track is on the north side of Cowley Road it will have to cross Cowley Road at this corner. 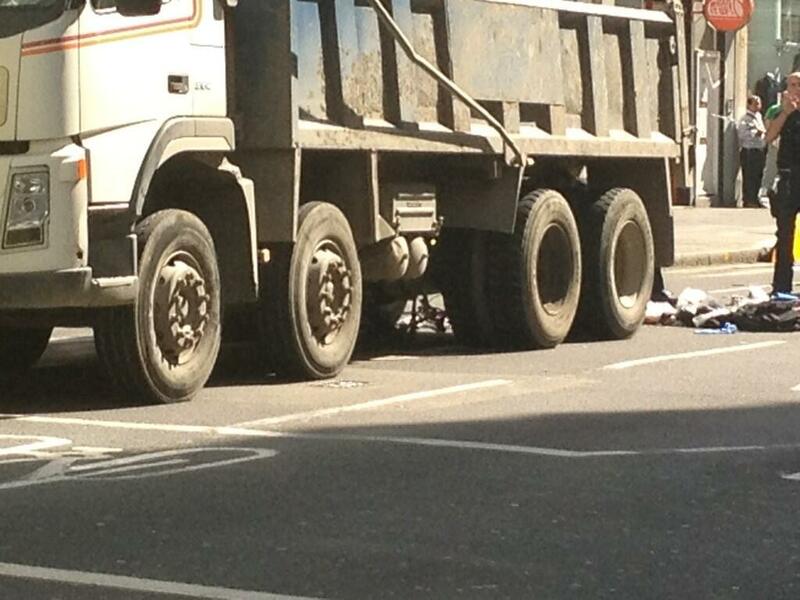 5 August 2013 a cyclist was killed by a lorry on Archway Road, London. 1 August 2013 cyclist suffered serious injuries when in collision with a lorry at a junction on Elizabeth Way in Cambridge. 15 July 2013 Alan Neve killed by a tipper truck in Holburn, London. 5 July 2013 Philippine de Gerin-Ricard killed by a lorry in London. It doesn’t matter if the cyclist or the driver made a mistake or who was at fault, the consequences of a collision between a person on a cycle and a truck are too often horrific. Lorries like this have very poor visibility, some cyclists foolishly pass on the left of trucks, and sometimes there is a collision. The consequences of a collision between a person walking and a lorry are just as bad. 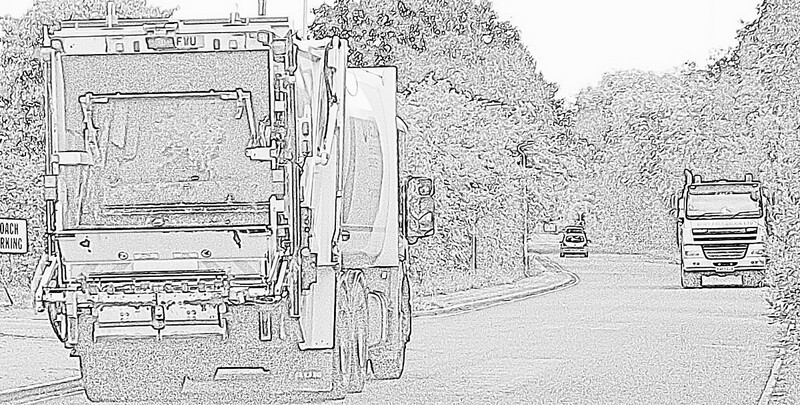 A tipper lorry on Cowley Road. Want to cycle next to one of these? Unless world class cycle infrastructure is built along Cowley Road I fear there will be serious injuries caused by collisions with lorries. 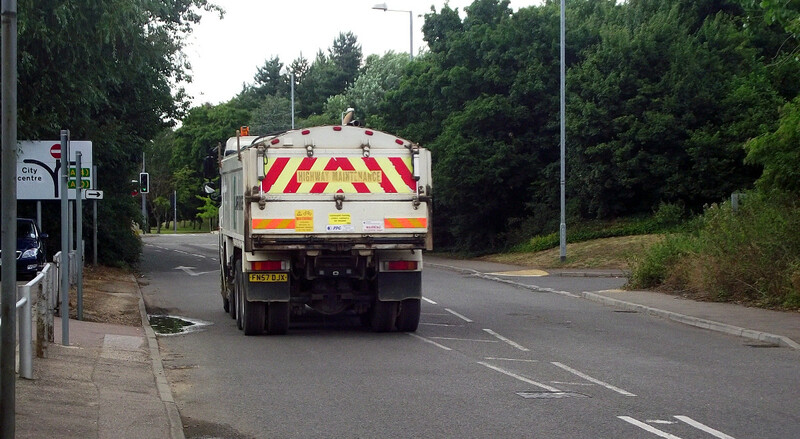 Cambridgeshire County Council must come forward with detailed plans, it is quite simply irresponsible to expect cyclists to share Cowley Road with lorries. Update: The County has come forward with a disappointing illustrative proposal. This entry was posted in Cycling, Planning, Roads and tagged Cambridge, Cowley Road, Science Park Station by rich257. Bookmark the permalink.